Hit the mountain in style, comfort, and warmth with the ability to tackle anything mother nature will throw at you while skiing, snowboarding, or exploring the backcountry. These are some very cool, unique, and must-have items for that special someone on your Christmas List. Enjoying a day on the mountain is something special. Carving the groomers for some first tracks or finding that untouched powder is an experience like no other. Being cold and miserable is not an option, so here are some of our latest and greatest reviews to aid in your perfect winter outing. If you are looking for a tough, durable, and versatile piece of mountain apparel, the Helly Hansen Mission Ski Jacket will be a nice addition for your winter adventures this season. With advanced Helly Tech Professional fabrics, PrimaLoft insulation, waterproof fabric, and the H2Flow system for breathability you can feel confident tackling the elements. If you want the perfect all-mountain jacket this is one that delivers. Water and windproof with great breathability will allow you to tackle any mountain and weather condition. Along with great fit and comfort, the numerous amenities and features will provide all you need for a wonderful day skiing the resorts or backcountry. The Technology, fabric and Thinsulate Platinum insulation within the Obermeyer Prizm Jacket speaks volumes about the quality. The weatherproof 20 K fabric and the ski contour articulated sleeves provides amazing fit, breathability and comfort. An abundance of convenient and functional pockets are great for all your slope side accessories and nutrition. Helly Hansen never ceases to amaze me in bringing the highest quality ski apparel to market. 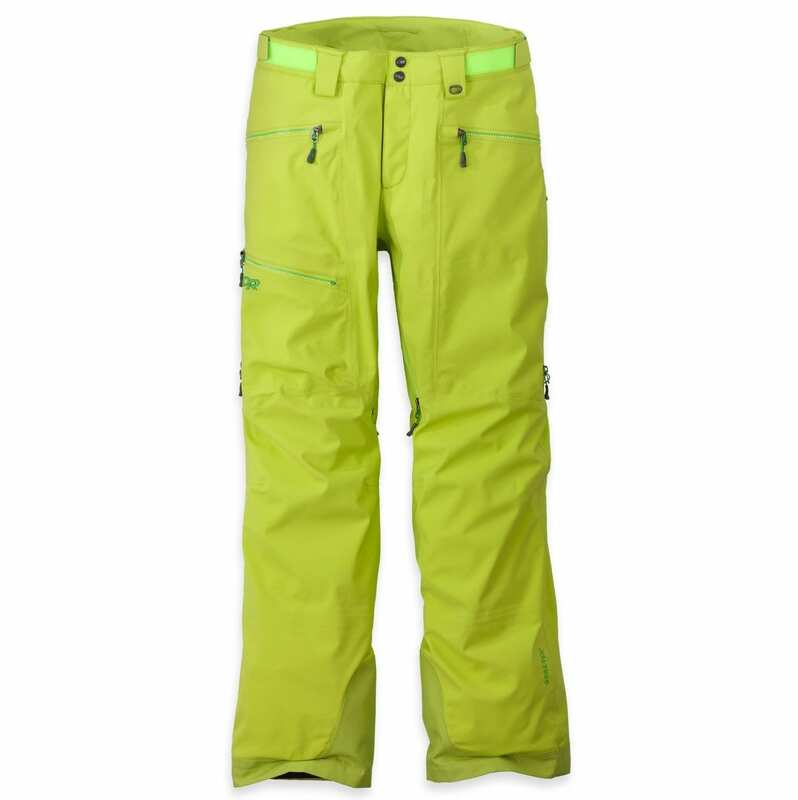 This is not the most expensive pair of ski pants in the market, nor is it the cheapest. It’s a hardworking set of pants with all the bells and whistles of its pricier counter parts. With the ability to keep the snow, wind, rain, and cold at bay, the Helly Hansen Mission Caro Pant will keep you focused on the task at hand. As in, ripping some corduroy, plowing through deep powder, or dropping into a couloir. 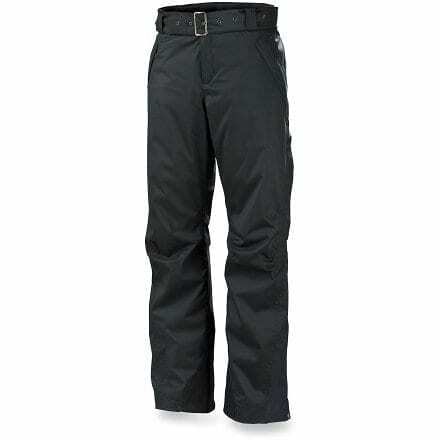 The Oakley Zulu BioZone pant is comfortable in both fit and warmth. In the most basic sense they’re just a good looking pair of pants. I would recommend for normal riding conditions and for anyone on the east coast because lets be honest, it’s cold there. If Snow Camo is not for you (but seriously you should try it out), they also come in Turquoise and Jet Black. The audio integration through the ear flaps is awesome and I really think this is the way to go if tunes are part of your riding ritual. In short, the K2 Virtue will make a beanie wearing snowboarder or skier into a helmet convert. If you want to look steezy while also protecting your head, the Bolle Synergy is a good choice. This helmet is geared towards someone seeking a park/freestyle look. Hence, the focus on the high-end audio option. Functionally, the helmet performs great! So if you like the styling and want a nice audio kit, this helmet is a great choice. The Smith I/O 7 Goggle is rimless with interchangeable lenses. In my gear and apparel I prefer a simple design, but require a top quality product as well as performance. The latest and greatest with all sorts of fancy bells and whistles isn’t always the best in my humble opinion. These goggles have a clean line, high end technological features in the lens and frame, and are able to do the job to keep the elements out. Wind, snow, sun, and fog are no match. These are lightweight, have great flexibility, appropriate ventilation, and fit wonderfully. The Smith I/O 7 is absolutely the ultimate goggle in minimalist performance. K2 didn’t mess around when they entered the optics game with the Captura Pro Goggle.The whole setup has good flexibly (it will roll with you if you take a tumble), light weight and fitted. You will not feel like a joey wearing these so you’ll need to dig deeper in your closet come gaper day. This is a high quality product and would be a great option for anyone who rides in low light conditions. If you’re more of a fair weather rider the the frame can also be purchased with a Pink Silver Tripic Mirror lens which is better suited to medium sunlight days. These socks are truly the latest and greatest. Warmth, compression, breathability, and durability all in thin sock. A great piece of critical gear for skiing, boarding, snow shoeing, or hiking. The Helly Hansen Warm Alpine Ski socks will perform for your winter adventure to help you get out there without having to worry about your feet getting cold. The SK Energizing Wool socks are exceptionally well made and fit perfectly. Their materials provide the right amount of warmth and get out of your way when you’re using them. I promise you will notice a difference in fit and feel when stepping up to these socks over a less expensive alternative. While everyone will benefit from using a top end sock like these, those who spend a lot of time in boots will really appreciate them the most. Falke also offers a range of socks at various price points that sacrifice some performance but offer the same high quality as all of their products. The MSR Revo Explore Snowshoe is a great snowshoe that offers all terrain versatility. MSR’s ExoTract Deck will hold you in place whether you are trekking up a steep incline or down hill on ice. The Hyperlink binding system surpasses all other binding systems in that it’s quick, easy, & convenient. You can effortlessly secure your Revo Explore Snowshoes while keeping your gloves on. The Ergo Televator reduces leg fatigue, muscle strain, and helps distribute pressure across the frame for enhanced traction. Overall, the MSR Revo Explore Snowshoe will provide you with all day comfort and efficiency no matter what conditions mother nature throws your way. These Northern Lites Race Snowshoes are great for walking, running, or cross training in the snow. I like them because they help you tear up the snow while moving fast! I run a lot, and as I age I take to the trails more and more to take the stress off of my joints. Snowshoeing is a fantastic way to cross train, but an even better way to get to enjoy the great outdoors. In my case, that is the peaks and valleys of the Rocky Mountains here in Colorado. The Northern Lites Race are a lightweight, strong, and durable snowshoe that will get you where you want to go. They will also do that super fast if you so desire. I am super impressed with these snowshoes. They are so light that it’s almost like you’re not wearing snowshoes at all. If you are a beginner in the snow, or an experienced winter outdoorsman, these Northern Lites Snowshoes will be a wonderful addition to your winter equipment toy chest. The best of down and fleece combined to create a very versatile, warm, and breathable jacket. 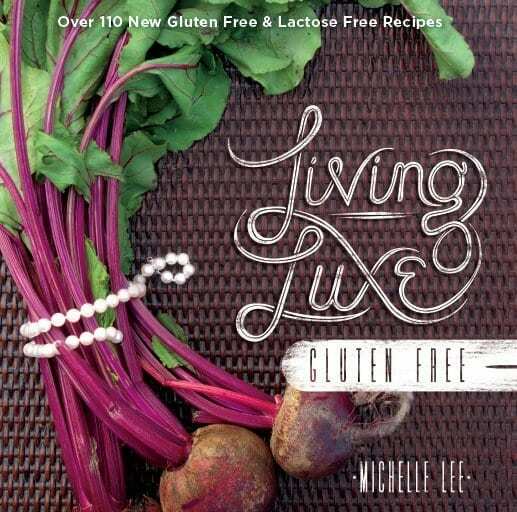 The L.L. Bean Ultralight 850 Down Fuse Jacket is a great companion; be it running, skiing, snowshoeing, or simply a night out on the town. You will not be disappointed. At an MSRP of $129, you’d be hard pressed to find a better deal especially since you’d have to buy 4 coats just to compete. An amazing mid layer for underneath your ski shell. The insulated mid-layer is a rapidly evolving product, and for good reason. The insulated mid-layer is arguably the most important layer; it is the layer that keeps you warm after all! The Outdoor Research Superlayer Jacket uses PrimaLoft® Silver Insulation Hi-Loft between a polyester woven mesh lining and a highly breathable nylon shell fabric This offers an insulating mid-layer that retains heat when you need it and dumps it when you don’t. The performance level of the ThermaCELL Heated Insoles ProFLEX is unlike any other. The flexibility and breathability make the Heated Insoles comfortable for all day use for a variety of adventures. The warmth and comfort the Heated Insoles provide on cold days make outdoor adventures enjoyable again!